Ceramides, the simplest kind of two-chained sphingolipids, contain a single hydroxyl group in position 1 of the sphingoid base. Sphingomyelins further contain a phosphocholine group at the OH of position 1 of ceramide. Ceramides and sphingomyelins show a variety of species depending on the fatty acyl chain length, hydroxylation, and unsaturation. Because of the relatively high transition temperature of sphingomyelin compared to lecithin and, particularly, of ceramides with 16:0–18:0 saturated chains, a widespread idea on their functional importance refers to formation of rather solid domains enriched in sphingomyelin and ceramide. Frequently, and especially in the cell biology field, these are generally (and erroneously) assumed to occur irrespective on the type of N-acyl chain in these lipids. This is because most studies indicating such condensed ordered domains employed sphingolipids with acyl chains with 16 carbons while scarce attention has been focused on the influence of the N-acyl chain on their surface properties. However, abundant evidence has shown that variations of the N-acyl chain length in ceramides and sphingomyelins markedly affect their phase state, interfacial elasticity, surface topography, electrostatics and miscibility and that, even the usually conceived “condensed” sphingolipids and many of their mixtures, may exhibit liquid-like expanded states. 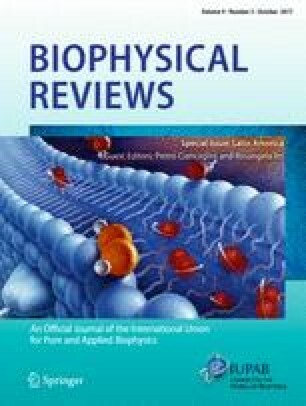 This review is a summarized overview of our work and of related others on some facts regarding membranes composed of single molecular species of ceramide and sphingomyelin. A second part is dedicated to discuss the miscibility properties between species of sphingolipids that differ in N-acyl and oligosaccharide chains. This work was supported by the Consejo Nacional de Investigaciones Científicas y Técnicas (CONICET), Agencia Nacional de Promoción Científica y Tecnológica (ANPCyT, FONCyT PICT 2014-1627), and the Secretary of Science and Technology of Universidad Nacional de Córdoba (SECyT-UNC), Argentina. María Laura Fanani declares that she has no conflicts of interest. Bruno Maggio declares that he has no conflicts of interest.